Westside Preserve at Buttercup Creek is a wonderful neighborhood located off of Lakeline Blvd. in Cedar Park, TX. Amenities include a playground and community pool. Buttercup is also really close to the ACC Cypress Creek campus, Elizabeth Miburn park, and the Brushy Creek park. Popular home builders in Buttercup include David Weekley Homes, Sitterle, Newmark Homes, and Meritage Homes. Shopping at Lakeline Mall, and 1890 Ranch is only 5 minutes away, while the Domain is about 20 minutes away. Commute times into Austin, Leander, Lakeway, Round Rock, and Georgetown are rather short. Buttercup Creek is also fairly close to major employers such as DELL, Cedar Park Regional Medical Center, and St. Davids Round Rock Medical Center. Residents will also have the convenience of nearby family entertainment such as the new Cedar Park Events Center, the new Schlitterbahn Water Park, and the DELL Diamond baseball team in Round Rock. 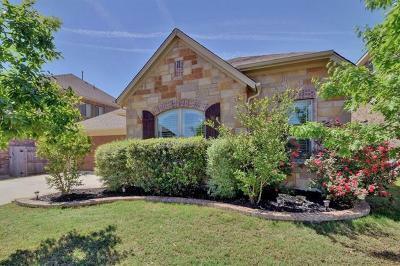 Homes for sale in Westside at Buttercup Creek typically run in the mid $200's- high $300's. Westside elementary, Cedar Park middle and Cedar Park high school.